IRONHIDE COMMUNITY FORUM • View topic - news on kingdom rush 4? 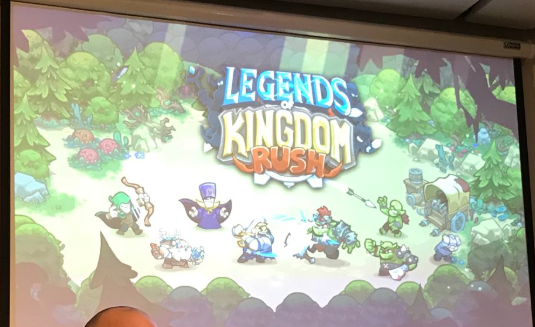 news on kingdom rush 4? just curious I mean its been a couple of years since it was announced. can we get a possible release data. Re: news on kingdom rush 4? It was officially announced in January 2017. Not quite 'a couple of years'. Yessss we need an update! At least an email with some data for the people that are subscribed to the email news list. I hope one of Legend KR heroes return in KR4, with improved skills. Some kind of ice worg? Thats very interesting Razor. I heard crystal or Ice like fantasy creatures in some fantasy games and i do know that they May borrow some enemies from other media. I played recently the first Dark souls game and i know the one level with crystal enemies, golems and the dragon itself. I dont know If they May borrow these. Seems it's similiar to the snake from "The Crystal Lake"
I found it, it's from Alvaro's twitter. It's from the last games award they won, where there were several presentations the tweet says something about "the blue team", which I recall Tats or Noel saying the team was split into three groups to work on different games. So the title screen could be rough design at the moment, waiting for final artwork. It might be the expected KR4 sequel (or prequel) or a spin off KR, maybe an RPG or an idle/tapper. The mage on the screen looks a lot like Krig Greatspell, from the Comic. Oddly enough, the comic is no longer available in the App Store and when I tried reloading it from my purchases I was not able to. So perhaps it's not a coincidence.